Monthly Recurring Revenue (usually referred to as MRR) is one of the most important metrics in a subscription business. It helps you understand whether you’re growing or contracting every month. A simple rule of thumb is that long as MRR is more than all of your expenses, you‘re running a profitable business. As soon as it dips below that threshold, you know something is wrong and changes need to be made. The key to MRR (and the beauty of subscription businesses) is that it’s income you can expect every month as long as your customer base remains stable. One off sales for things like add-ons isn’t included in your MRR. If you’re not calculating and tracking MRR or aren’t using it to make decisions then there’s a huge blind spot in your business. It needs to be fixed. This article will show you multiple ways to calculate MRR as well as the benefits of using it to measure your business health. MRR is the total income you expect to receive monthly for subscriptions to your product or service. It’s calculated as a dollar amount (or whatever currency you bill in) that represents all recurring revenue irrespective of the subscription term or plan. If you have multiple plans or subscription terms, your MRR calculation normalizes them so you get a single number you can understand and track over time. For example, the value of subscriptions paid annually is divided by twelve to arrive at the monthly value you’d use for your MRR calculation. If you’ve been in the subscription world for any amount of time, you’ve seen the massive amount of literature that focuses on MRR. 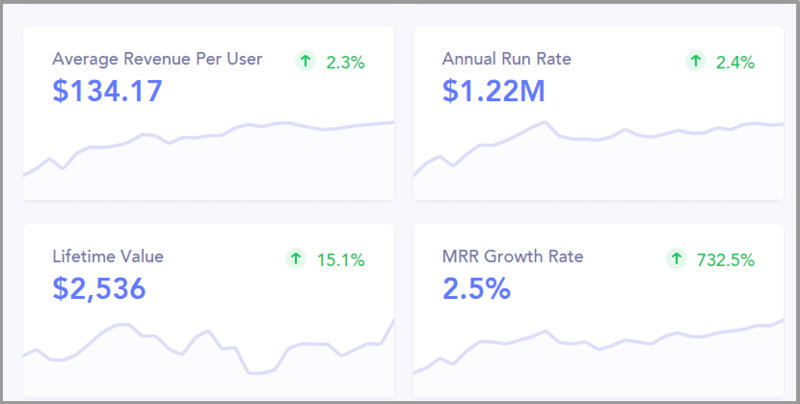 Entire businesses are dedicated to tracking your MRR, success is measured in MRR, and if you really get into the weeds you’ll realize that there are multiple types of MRR. Why does MRR get subscription business owners so hot and bothered? There’s a simple reason. It’s a single metric that can give you a lot of insights about your business at a glance. You can plan ahead because you have a handle on how much revenue is expected to come into your business. You can use past trends to calculate your future growth and bet big on product development. Without this understanding, you’ll be in the dark about how fast you’re growing and what constitutes a reasonable investment. Few things in business are predictable. It seems like there’s a new problem whenever you wake up or a new innovation you have to keep up with. The old way of tracking income and growth which was based on time only allowed you to look backward. It was poorly suited to predicting growth going forward. Tracking MRR changes all that and makes it easier to forecast revenue trends in your business. Though MRR calculations boil everything down into a single value to make it easy to track, total MRR is made up of multiple types of MRR. It’s important to understand how much each one contributes to MRR so you can identify revenue centers and places for improvement. New MRR — MRR from new customers that have never used your product before. Expansion MRR — MRR from existing customers who’ve decided to upgrade to a higher pricing plan. Reactivation MRR — MRR from customers who stopped using your product but came back after some time. Contraction MRR — Lost MRR from customers who downgraded but didn’t cancel their subscription. Churned MRR — Lost MRR from people who’ve canceled their subscription to your product or service. Let me use an example to illustrate why this is important. Your total MRR last month was $50,000 and this month it’s $60,000 which is a $10,000 or 20% increase in MRR. Not bad. Drill down into the breakdown of that $10,000 increase and it tells an interesting story. $2,000 was lost due to churned MRR and $1,000 due to contraction MRR. $500 was gained from reactivation MRR, $5,000 from new MRR, and $7,500 from expansion MRR. It’s clear the main driver of revenue for this business is expansion revenue. It may be a good idea to invest more heavily in new MRR and expansion MRR. If you don’t track the types of MRR, you may assume that you’re not churning customers and all revenue everything is coming from new signups. The calculation for MRR is straightforward and there are two generally accepted methods. MRR = (subscription 1 +subscription 2 + subscription 3 + subscription 4 + etc). MRR = (55 +99 + 55 + 25 + 55) = $289. It’s pretty straightforward right? Once you have a lot of users, this calculation gets tedious. 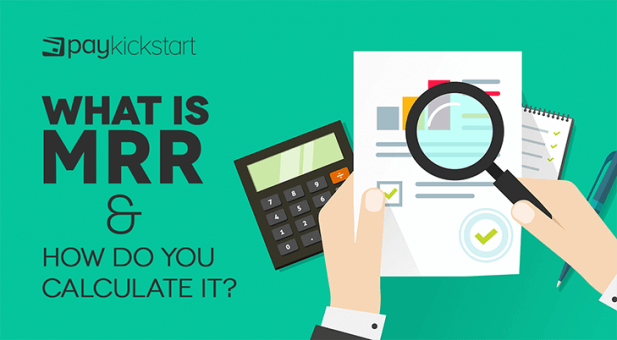 The other method to calculate MRR is much simpler. 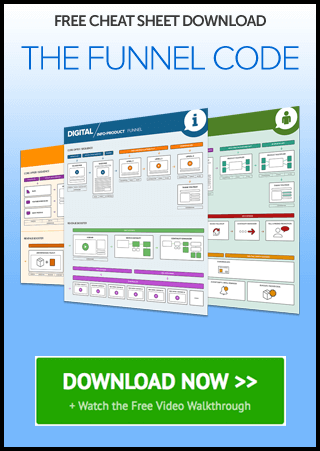 The second method multiplies your total number of customers by the average revenue per user. If you have 20 customers and the average revenue per user is $40 then your MRR is $800. ARPU = (MRR/Total number of users). Total MRR, as mentioned before, is a great way to keep track of overall business health. You still need more insights into what’s contributing to growth if you want to maximize your earnings. To do that, we have net new MRR. Net new MRR is a calculation that helps you understand what’s increasing (or decreasing) MRR. The calculation uses multiple types of MRR. Note: you can also add contraction and reactivation MRR into the calculation. If you added $10,000 in new income this month then it could be broken down in multiple ways. = $7,500 + $5,000 – $2,500 = $10,000. If this number is negative then there’s a problem and problems make me sad. At the same time, you could have net negative churn which means you’re increasing your income without adding new customers. It’s a beautiful position to be in. That’s a topic for another day and another post. MRR is one of the most important metrics you can track in your subscription business. It helps you understand how quickly you’re growing and what aspects are contributing to that growth. At the same time, it gives you the insights you need to predict what will happen further down the line. Let me know what you think about MRR in the comments and don’t forget to share.